Early in His ministry, Jesus began enlisting ordinary people like fishermen and tax collectors. 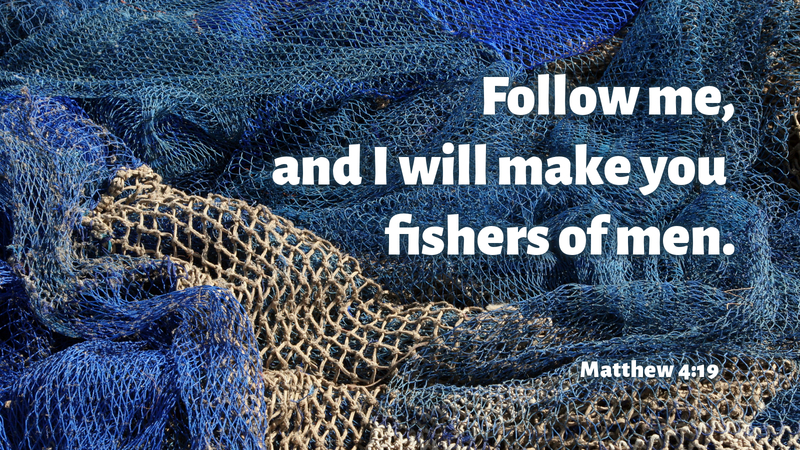 Through knowing and following Him, Jesus began to transform and train these disciples (literally: learners) by demonstrating His kingdom agenda: teaching God’s ways, proclaiming good news, forgiving sins, pointing to His death and resurrection, healing this broken world, and multiplying His kingdom work by “fishing” for others. Beautifully and amazingly, the living God has always called, trained, and mobilized ordinary people like you—old, young, widows, weak, poor, and even wayward—for His kingdom agenda. After calling people, God then anointed them with His Holy Spirit and power, equipping them to accomplish His unique call to each in all of life. The Biblical Greek word for “church” literally means “called out ones.” These “ones” are ordinary people “called” by Jesus in order to be transformed and trained by Him to go “out,” transforming the world in His name. Scripturally and fundamentally, “church” is not an organization, institution, building, or place, but it is you! Today, Jesus is calling you. Do you know Him? Can you recognize His voice? What is He calling you to be, do, and say to continue His kingdom work? He needs you! Prayer: Heavenly Father, for Jesus’ sake, renew and increase in me your Holy Spirit, empowering me to walk in conformity with your call; in your name. Amen. Today’s devotion was written by Wendy Berthelson, pastor of Hope Lutheran Church, Cedar Hill, TX.